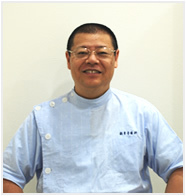 Welcome to the Kannonji Dental Clinic website.Thank you for your visit. The Kannonji Dental Clinic is only a 5-minute walk from Tateyama Station on the JR Line. Our clinic is bright and has a comfortable environment. We wholeheartedly strive to provide our patients with the best treatment and care. We think that what counts most is supporting oral maintenance based on the needs and wishes of the patient,determined through consultation(informed consent). Our treatment courses are developed with the patient in mind. We help you maintain a beautiful smile,with decisions regarding dental cosmetics, and more. We advise you on how to keep your mouth out of trouble. Kannonji Dental Clinic is located at Tateyama,Chiba. A5minutstes walk, easy access, from Tateyama Station on the JR Line. Our clinic is bright and has a comfortable environment. We wholebeartedly strive to provide our patients with the best treatment and care. We think that what counts most is supporting oral maintenance based on the needs and wishes of the patient,determined through consultation (informed consent). Our treatment courses are developed with the patients in mind. We help you maintain a beautiful smile,with decisions regarding dental cosmetics, and more. We advise you on how to keep your mouth out of trouble. Cosmetic Dentistry is a total oral treatment plan that focuses on cosmetics. If you have any questions or need more information, please feel free to contact us. Orthodontics treats a wide variety of malocclusions(improperly aligned teeth and/or jaws). If you have any questions or need more information,please feel free to contact us. Teeth whitening is the process of bleaching your yellow teeth in order to make them whiter. We recommend you visit regularly for oral check ups even if you are not having any symptoms. We monitor your child's needs carefully and provide advice and treatment to ensure a winning smile. We help those patients who have fear and anxiety about going to the dentist. Copyright(c) 観音寺歯科診療所. All Rights Reserved.